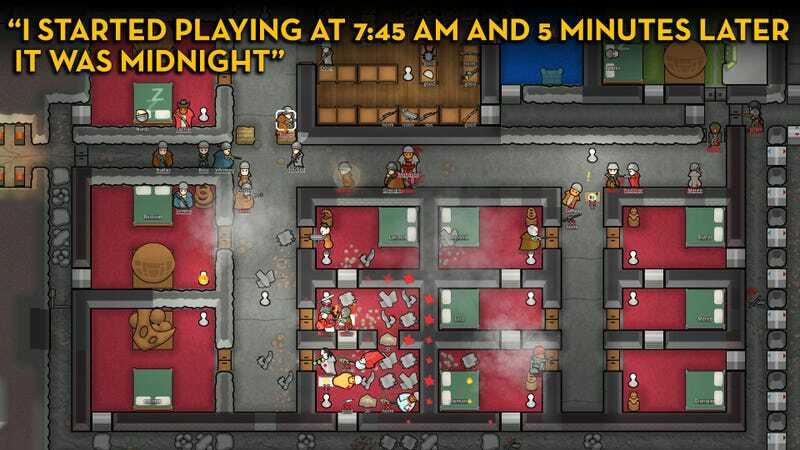 Rimworld was officially released last week after being in early access for five years. All these years, players on Steam have been sharing their wild stories in their Steam reviews. I love games like Dwarf Fortress, so Rimworld has already stolen a lot of my time. It’s management sim where you build a base on a hostile world, making sure your colonists have enough food and defenses from animals, the harsh weather, aliens, and other people who want to murder you. If you want to know how this usually works out, often in the winter I let a colonist die and resort to cannibalism. You can check out more reviews for Rimworld here, or read our ongoing “As Told By Steam Reviews” feature here.